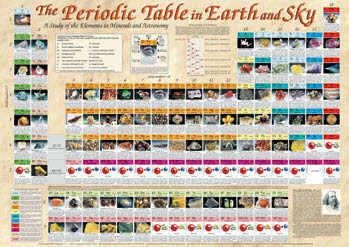 This chart has helpful mineral and astronomical images, information on the abundance of each element in the earth’s crust and in space, element symbol, electron orbitals, atomic weight, toxicity, and important uses. Also includes great photos and essential information as well as a section on the father of the periodic table. Comes with detailed information sheets. Laminated.